I think I know, but to not ruin the game, I PM'ed you!! Last edited by happysaz133; 04-28-2008 at 01:12 PM..
LOL - trust you Miss Sherlock - lol - you are right! It will be later in the year - not just yet. And of course Jake has to recover from his injury before I'd introduce a puppy into the house. You're getting a puppy? How did I miss that? I would have guessed "same breed as Jake." I know his breed but I don't want to spoil it for anyone else in case I'm right. I think I know too but I am ot going to say .......are you getting the puppy from a breeder or from rescue? I wish Eunice. I think I'd have more chance of being on the next mission into outer space as an astronaut than getting a puppy from a rescue! Do you know how many IWS have been rehomed over the last 4 years - to the best of my knowledge 1 and that's Jake! How do you classify a breeder, is it someone who breeds lots of puppies. 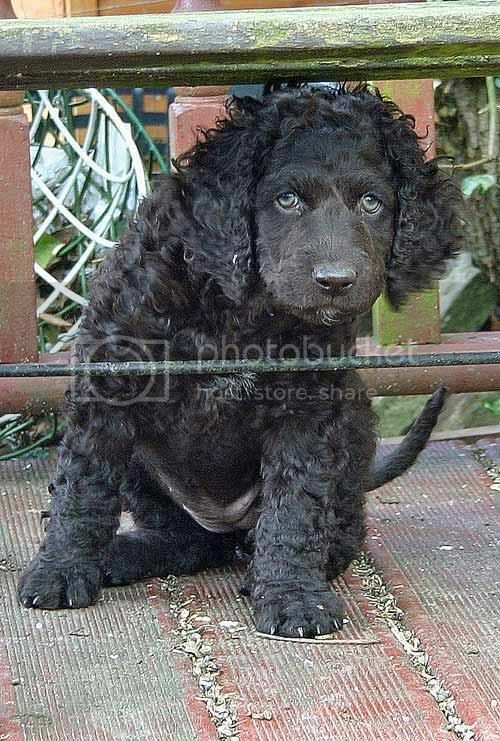 This puppy will be from an occasional breeder - i.e. one litter every 2 years and most go to working homes. Last edited by Jake2006; 04-28-2008 at 03:34 PM..
Hi Carole I Classify a good breed as one who does the necessary health checks and really knows his/her breed inside out and breeds for the betterment of the breed . I would not buy from a breeder who churns out litters willy nilly. I prefer them to breed when they themselves need a puppy to continue their lines and I would hope that they would have a waiting list for the litter. Okay I know this does not always work out as sometimes the waiting list is for more males than females and vice versa and when the litter is born they may not meet the criteria, but at least someone who has a waiting list and is breeding a plannedlitter, if you know what I mean. In other words an ethical breeder. I know you were very lucky when you managed to rescue Jake and I know IWS don't get into rescues very often but from the breed's point of view this can only be a good thing . Anyhow keep us posted and hope poor Jake is getting better every day . That is easy same dog as Jake is. I only breed if I have a wait list, why would anybody breed for anything else? Makes not sense if you have to advertise to rid of pups. I never do and never have enough pups, so I guess I fit the ethical breeder?